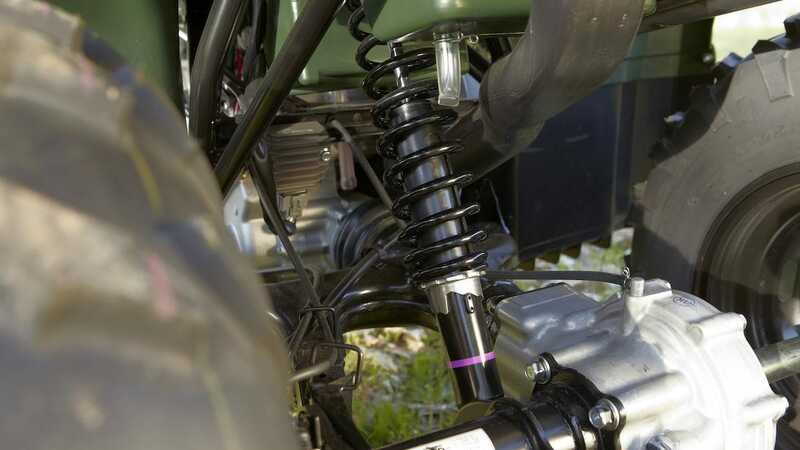 Front and rear suspension keeps the ATV buoyant over rough terrain, and the On-Command® 2WD/4WD system allows you to easily switch between suitable driving modes. With rear and front racks the Grizzly 350 4WD also has the ability to carry loads up to 120kg. 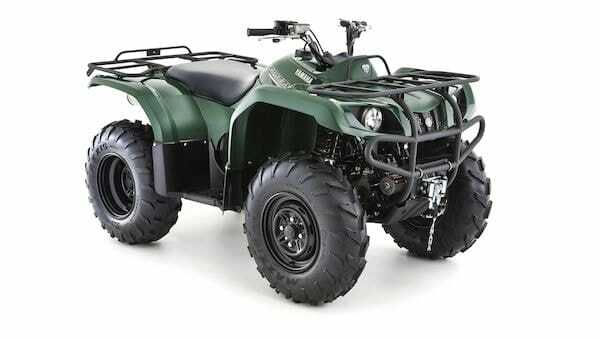 Economical with fuel, low in maintenance, it's the packhorse of the ATV world - strong, tough and durable. 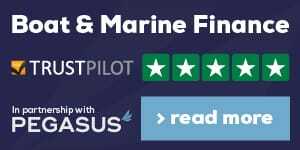 And combined with a range of our practical accessories - from winches to ploughs - working was never so much fun. ATVs with engines up to 70cc are recommended for use only by riders 6 years and older and always with adult supervision. ATVs with engines of 70 to 90cc are recommended only for use by riders 12 years and older, and always under adult supervision. ATVs with engines of 90cc or greater are recommended for use only by riders 16 years and older. 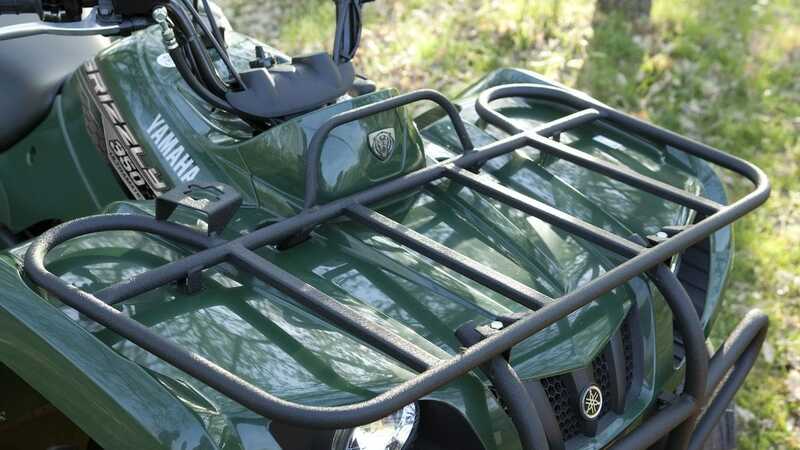 ATVs are built to operate within their design limits. Safe towable weights, together with maximum carrying capacity are identified in the owner's manual if applicable. For durability, reliability, but most important of all, operator safety, under no circumstances should the recommended capacities be exceeded. Yamaha recommends that all ATV riders take an approved training course. For safety and training information, see your dealer. ATVs can be hazardous to operate. For your safety: always avoid paved surfaces. ATVs are designed for unpaved surfaces only. Riding on paved surfaces may seriously affect handling and control and can cause loss of control. Always wear a helmet, eye protection and protective clothing. Never carry any passengers. Never engage in stunt riding. Riding and alcohol/drugs don't mix. Avoid excessive speed and be particularly careful on difficult terrain. Please 'tread lightly': always ride in a responsible manner, respecting the environment as well as country and local laws. The riders in this brochure are professionals: don't attempt to emulate them. 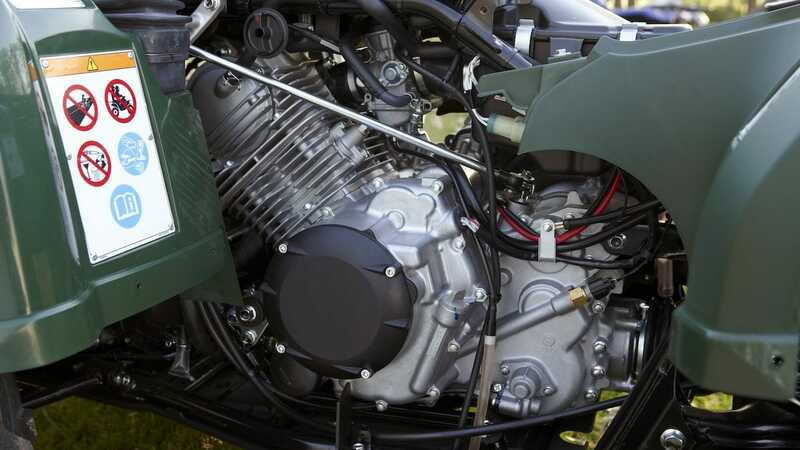 The specification and appearance of Yamaha products will be varied from time to time without notice, and as shown here are illustrative only and are not a contractual description of products. Some models are shown with optional accessories. See your dealer for details. 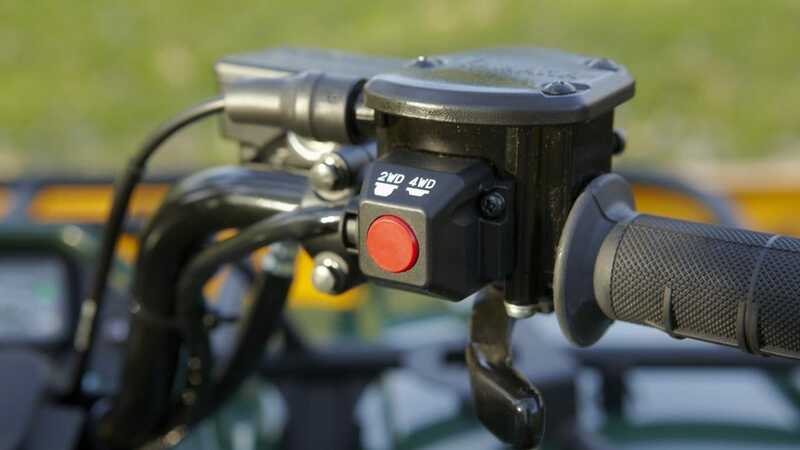 Yamaha's push-button On-Command 2WD/4WD system lets you switch between drive modes, giving near-instantaneous transition from cruising to climbing. 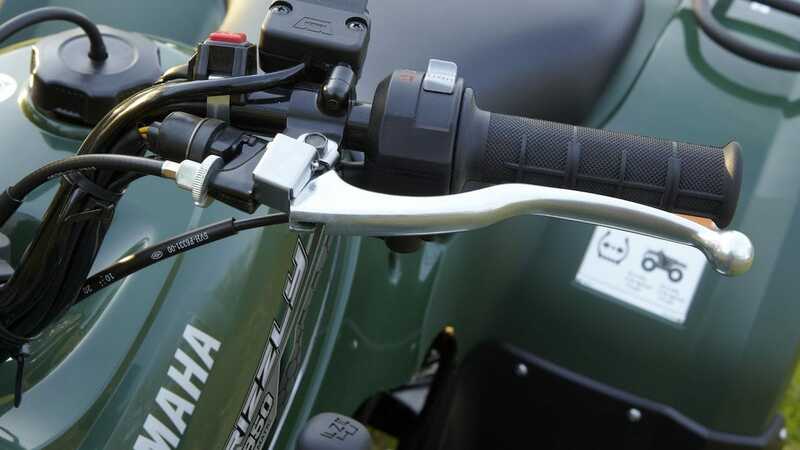 A convenient parking brake, situated on the left hand side of the handlebar, can be operated by one hand and makes sure your ATV stays where you left it. A wrinkle-finish front carry bar and cargo racks are super-durable and can pack an incredible payload - up to a total of 120 kg (40 kg front, 80 kg rear). 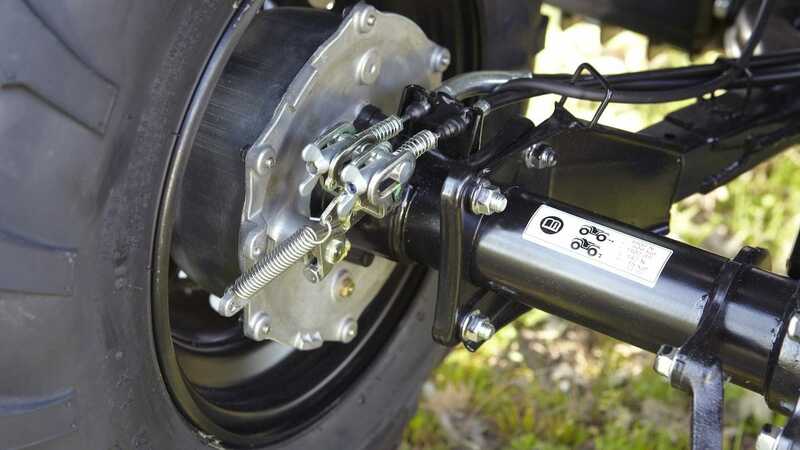 Or hitch on a trailer and tow up to 500kg.